Yesterday, the jury came back in the Blurred Lines trial and awarded the estate of Marvin Gaye $7.4 million. 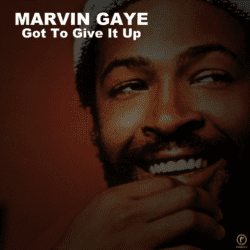 The case centered around allegations from the estate that Robin Thicke and Pharrell Williams, when writing their hit song, infringed upon Marvin Gaye’s Got to Give it Up. Thicke and Williams, however, sued first seeking a declaratory judgment of non-infringement. However, not only did they not get that, but the judge allowed a counterclaim by the Gaye estate to move to trial, which we now have the outcome from. To be clear, this case is far from over. While the jury verdict is important moment and a likely turning point in this case, there is still a lot of legal road ahead. It’s likely that the lawyers for Thicke and Williams will ask the judge to set aside the verdict, reduce the damage amount or file for an appeal. Meanwhile, the lawyers for the Gaye estate have already said that they are going to seek an injunction barring sale or distribution of Blurred Lines, though there are questions if that injunction will happen because, according to lawyers representing Thicke, the labels were not found to have infringed. Still, the most likely outcome of this case at this point is a settlement. Now that the Gaye estate has the upper hand, they can force a favorable agreement. However, there will likely be at least a few more legal maneuvers before that. In the meantime, there’s been a great deal of talk about the decision, how the jury reached it’s verdict and what it means for copyright. I may not have all of the answers, but I do have a few thoughts I wanted to share. Before the verdict was announced, I had publicly said that I didn’t think things looked good for the Gaye estate. My reasons are easy to understand. First, the Gaye estate was severely limited in the claims it could make and evidence it could present. Since the estate only held copyright on the composition of the song, it could only present versions of the song limited to what was on paper and many of the best-known elements to the song only exist in the recording. It was widely expected that, if the Gaye estate lost at trial, they would file an appeal on those grounds and hope for a retrial. They had already claimed they should be able to present the recording because it was an expression of the composition, but the judge repeatedly denied such requests and even shot down an attempt to appeal on the issue. However, the Gaye estate didn’t lose at trial and that issue is largely moot. But this does raise the question: How did the Gaye estate achieve victory? The answer isn’t in better lawyers or expert witnesses. Both sides were well-equipped with the best in the field. Everyone had excellent representation. So while we can’t really know what the difference was, the most likely point of contention was Thicke and Williams themselves. In depositions given in the run up to the trial, Thicke admitted lying, drinking and drug abuse. His testimony in the trial also contradicted other statements he had made, in particular whether or not the song was inspired by Gaye’s work. It seems, simply put, that the jury didn’t believe Thicke and Williams and ruled against them. This is a point driven home by the fact that the jury didn’t find that the duo had willfully infringed Gaye, but also didn’t find that they were innocent infringers either. Given the subjective nature of a derivative works case, especially a musical one, this believability is very important. In this regard, the case is actually similar to ones that deal with the “fifth factor” of fair use. When faced with very subjective decisions, judges and juries alike often make some or all of their decision based upon who they “like” or “believe” not what the law actually says. This is not to say that Thicke and Williams didn’t infringe, I’m not enough of an expert on music plagiarism to even begin to speculate on that, but that when you enter areas of copyright law like this where the outcome is highly subjective, likability and believability play a key role. Something Thicke and Williams seem to have learned the hard way. Since the verdict came out there’s been a lot of hand-wringing about what it means for copyright. The general concern is that the verdict risks expanding copyright protection in a song to the sound and feel of it. As others have pointed out, the overlap between the two songs doesn’t include any melodies or words verbatim. Several comedy bits, such as the Axis of Awesome Four Chords routine, focus on how you can overlay different words on the same chords to make new songs. This was a point illustrated by Thicke himself during the trial as he played a medley of songs on a piano. The fear is that this kind of overlap could be turned into copyright infringement because of this trial. That concern isn’t without at least some justification as the Blurred Lines case didn’t happen in a bubble. Recently, Sam Smith settled a dispute with Tom Petty over the song Stay With Me, which Petty felt bore a close resemblance to his I Won’t Back Down. This case was settled without a lawsuit or even a serious legal threat. And that’s how most disputes over music infringement go. Whether it’s unlicensed sampling or alleged plagiarism, the two sides generally settle things quickly and quietly, often without as much as a news story. What’s most unique about the Blurred Lines case is that it didn’t just result in a lawsuit, but that it went the distance. It wasn’t settled quickly, resolved on a summary judgment or sent to mediation. Instead, it went to trial and the party claiming they were infringed won the jury over. In short, other than the trial, there isn’t that much unique about it. The other problem is that the results of the case are both highly subjective and specific to the facts of this case. Though I’ve already compared these derivative works cases to fair use, it bears repeating. The same as there is a great deal of conflict as to what is and is not a fair use, even if you just look at court rulings, there’s a lot with derivative works cases as well, in particular music. This is one of the reasons musicians, labels and others in the industry have been cautious about these cases: Because they are inherently unpredictable. While this one case has certainly gotten a great deal of media attention, it doesn’t likely represent a major shift in copyright law, especially since the next case could come along with similar facts and have a completely different outcome. When it comes to copyright, there’s a very serious imbalance between the cases that will likely have a drastic impact on the law and the ones that get a great deal of media attention. The Blurred Lines case has been a media frenzy, especially following the ruling. Not only are there three big name musicians and two hit songs involved, but there is now a multi-million dollar damage award, all of which guarantee public interest. Meanwhile, cases such as the Google v. Oracle case, which the Supreme Court is currently debating taking, haven’t gotten a great deal of attention outside of copyright and tech circles. This is despite the fact it could have very drastic implications for copyright, especially for programmers. The problem is that the case is dry, complicated and confusing to most people. It makes for very poor news. However, a story about Blurred Lines being a plagiarism of a Marvin Gaye song is an easy narrative for news outlets to present and the names involved guarantee readers and clicks. In the end, just because a story gets a lot of press doesn’t mean it’s a pivotal case in copyright history. While this one might end up having some broader impact, the outcome was heavily dependent upon the facts of this specific case and, even with that in mind, isn’t too different from the way a bunch of similar cases were handled out of court. 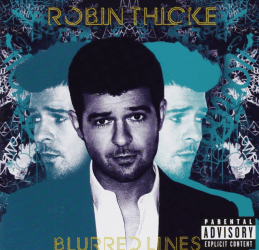 The trial may rewrite the author line of the Blurred Lines CD, but it probably won’t rewrite copyright law.